DC put in their female lead comic book movie out last year and we all know how Wonder Woman did with the fans, critics and at the box office. Marvel should be taking a page from Wonder Woman’s book since a similar feat is expected from Captain Marvel as well. At Comic Con 2017, Feige revealed many more details about the movie as Nick Fury was confirmed to be back for this movie and is going to have his “both eyes open” as the movie will be set in the past. 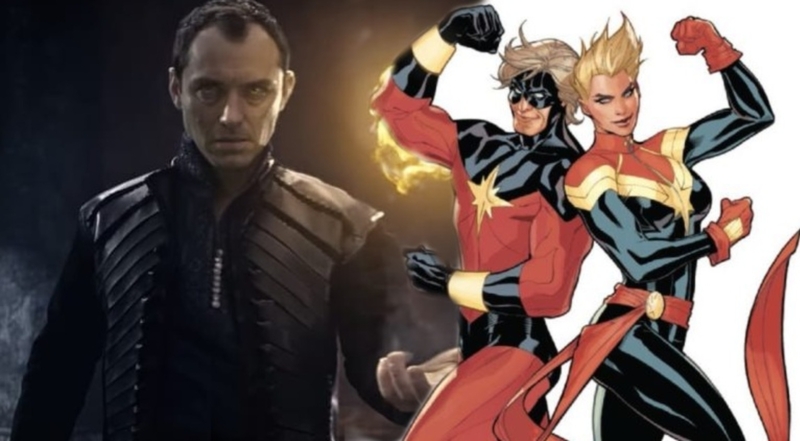 Along with Brie Larson and Samuel L. Jackson, Jude Law is going to be a part of the movie and he is going to play the character of Mar-Vell, who would probably be the Captain of the Kree Army. Along with these three, Ben Mendelsohn and DeWanda Wise also have significant undisclosed roles in the movie. This movie is being written by Nicole Perlman, Meg LeFauve, and Geneva Robertson-Dworet, and it has been helmed by two Directors – Anna Boden and Ryan Fleck. The Skrulls are going to be the main villains of this movie and the movie will be based upon the Kree Skrull War storyline from the comics. The Skrulls are the shape shifting aliens who are the common Foes of Captain Marvel in the comics. 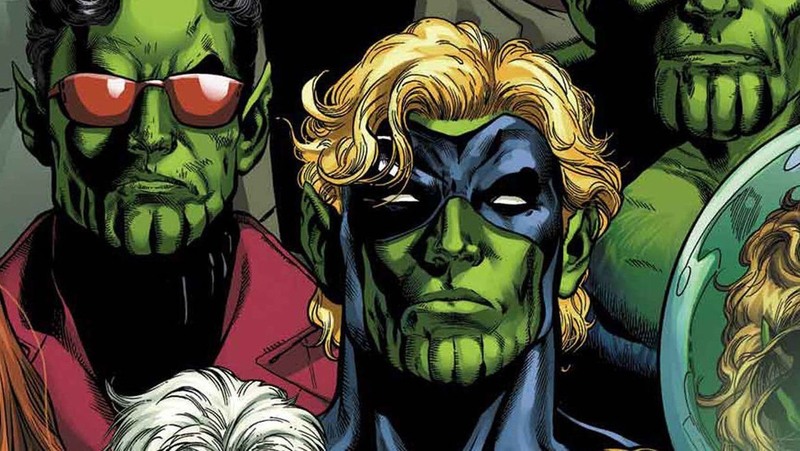 James Gunn revealed that the Skrull race is co-owned by Fox and Marvel Studios and that is why we are going to see the Skrulls appear in X-Men: Dark Phoenix as well. 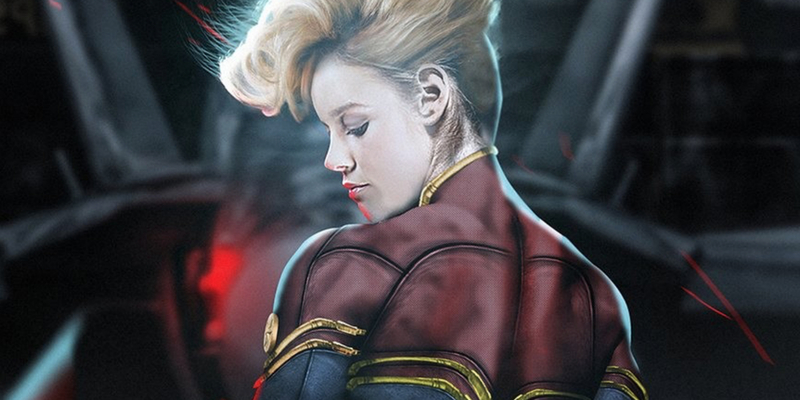 The movie will be set entirely during the 90s and it will explain why there has been no mention of Captain Marvel in the Marvel Cinematic Universe till now. 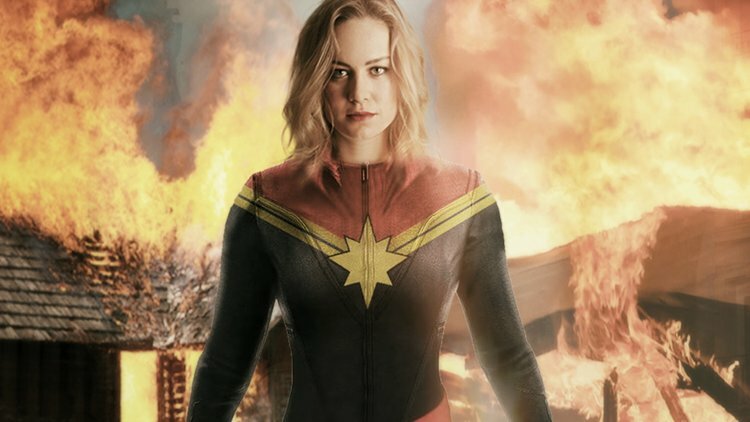 Captain Marvel will turn out to be the strongest Superhero in the entire MCU, and as confirmed by Joe and Anthony Russo, the directors of the upcoming two Avengers movies, Captain Marvel will not be appearing in Avengers: Infinity War, as her solo movie lies between Infinity War and Avengers 4, and later on after having her debut movie, she will join the Avengers in the 4th part of the franchise. Along with Captain Marvel, this will be the first appearance of the Shape-Shifting Skrulls in the MCU, and this will probably set up the secret Invasion storyline which will unravel either in Avengers 4 or in the future Phase of the Marvel Cinematic Universe. 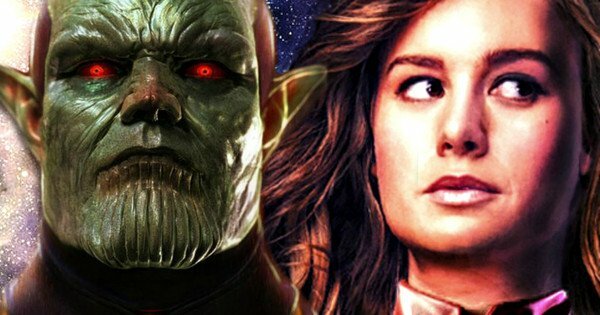 Moreover, ever since the Skrulls were announced, there has been a huge speculation that the Earth has been infiltrated with Skrull agents after their arrival in the 90s during the events of the Captain Marvel movie. What is even more interesting and scary is that any of our favourite Avengers or a character of Significance could actually turn out to be a damn Skrull! 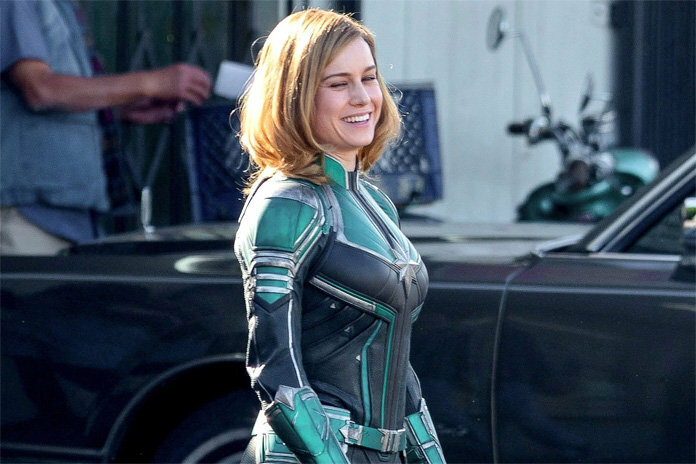 Seeing the set photos, we got the first look at Captain Marvel’s suit from the movie, which was not her trademark suit from the comics as it was Green Blue and silver in color instead of Red Blue and yellow (Gold). Well, her trademark suit is going to show up towards the latter half of the movie and first she is going to wear this particular suit. 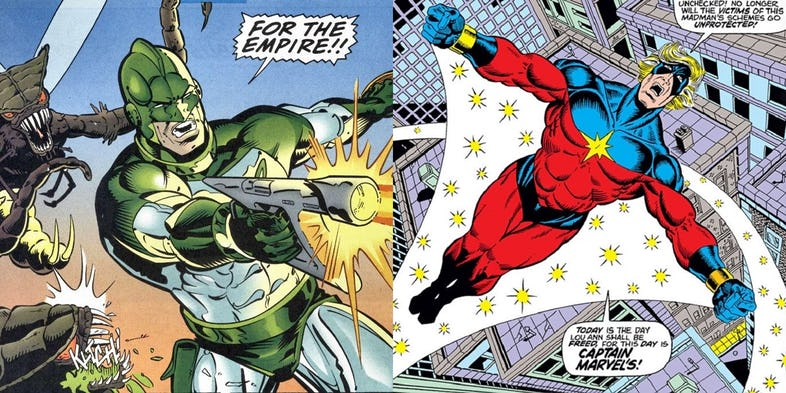 As Jude Law’s Walter Lawson aka Mar-Vell is a Kree warrior and originally when he came to Earth, he donned a green and white suit and used the name Captain Marvel. 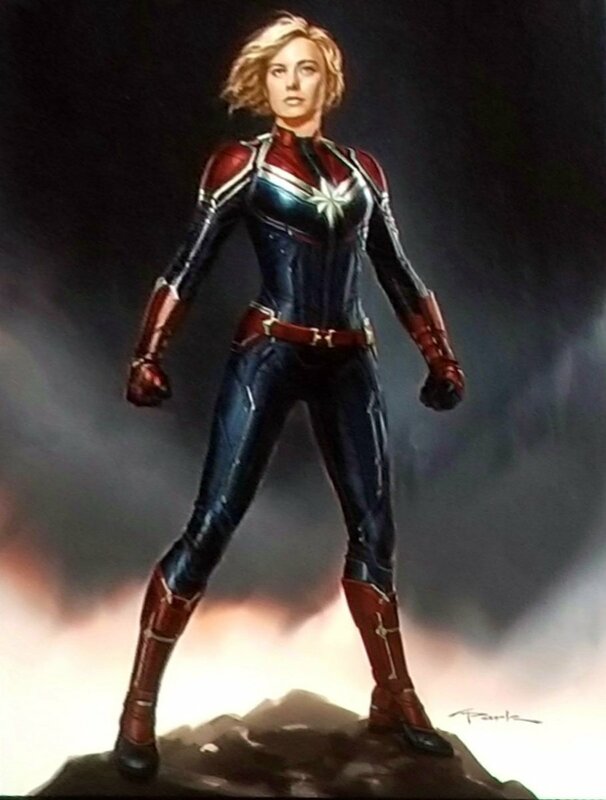 Eventually, he donned the familiar red and blue suit with the gold star and this would be the inspiration for Carol Danvers when she gains similar abilities in the movie and dons suits with similar color patterns to Mar-Vell. You will be surprised to know that this role was first offered to Keanu Reeves but he turned it down. Mar-Vell was created by Stan Lee and Gene Colan and he made his first appearance in Marvel Superheroes #12 in December, 1967 during “Silver age” of comics. He came to Earth as a spy, assumed an identity of scientist Walter Lawson and became a warrior. 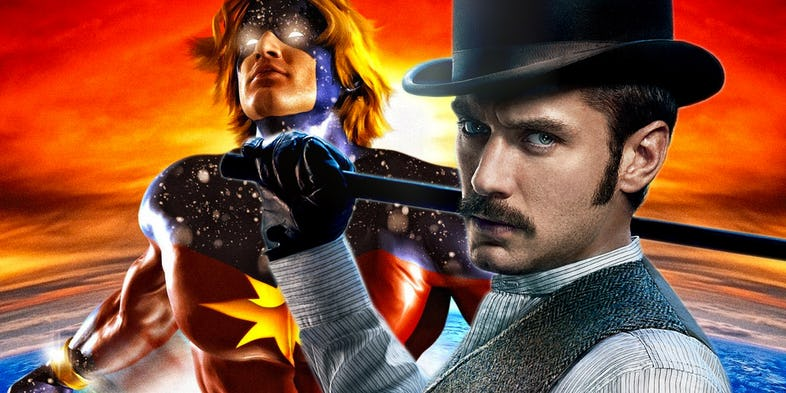 This is how Jude Law’s Mar-Vell will tie into the movie. The movie has also cast Ben Mendelsohn and till now his character has been kept under wraps but the new report has revealed his secret identity. According to the report, he is playing the supervillain named Yon-Rogg. There is nothing official at this point but it makes sense to have Yon-Rogg against Kree warrior Mar-Vell. 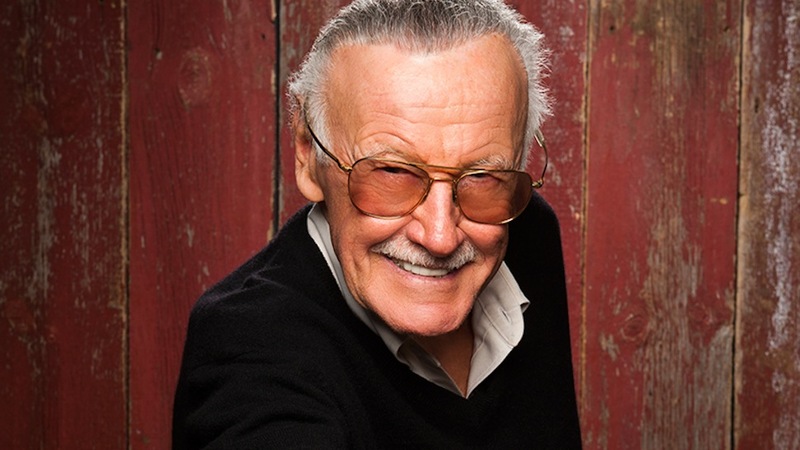 He was created by writer Stan Lee and artist Gene Conlan and the character made his debut in 1967’s Marvel Super Heroes #12. In comics, Yon-Roff is a military commander of the ship known as Helion sent to Earth by Kree’s supreme intelligence. His abilities and powers include super agility, tremendous stamina, super-strength and hand-to-hand combat. He tried to sabotage Mar-Vell who was among those on the Helion in order to impress Kree’s medical officer Una, which led to Mar-Vell’s fleeing to Earth where he assumed the alias of deceased Dr. Walter Lawson before he met Carol Danvers. 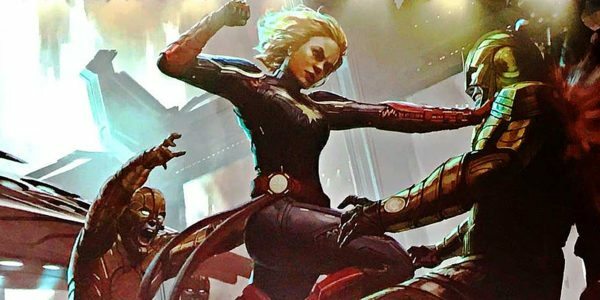 Captain Marvel will hit the theatres on March 8, 2019, and since this is the release date Marvel are going forward with, we can expect to see the first trailer for the movie premiere at San Diego Comic Con, 2018. She won’t be part of Avengers Infinity War but we will likely see her in Avengers 4 to save the world from Thanos and his Black Order when all hope will be lost. It makes sense that when Avengers and Guardians have almost given up on winning the battle against Thanos, a powerful warrior like Captain Marvel comes to their rescue. 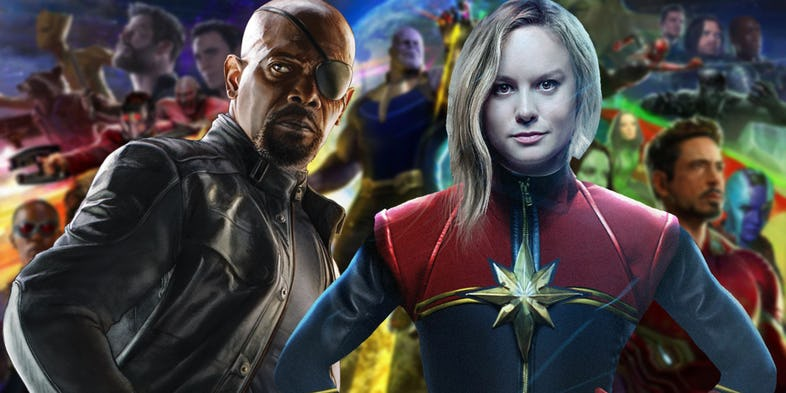 Kevin Feige is more excited about Captain Marvel than Infinity War movies. He just gets turned on when anyone starts talking about the project. 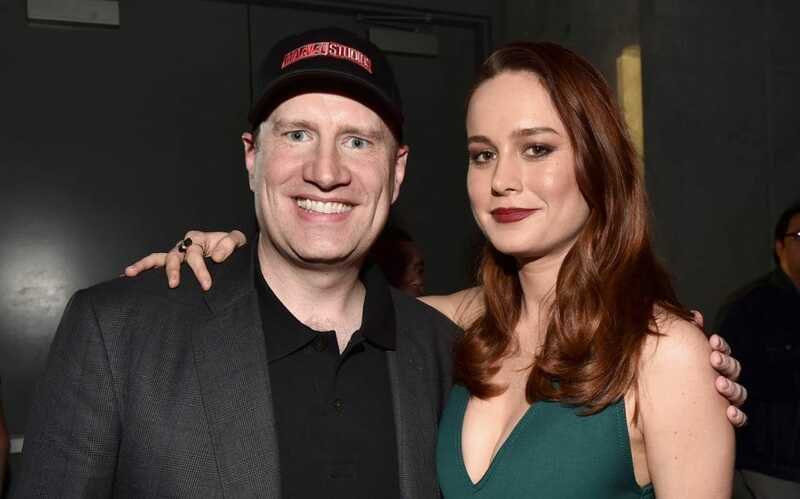 He said that his entire focus is now on delivering an amazing Captain Marvel movie and then bring her into the finale to bring closure to everything that has happened till now in MCU. Also, in the future phases of MCU, she is expected to take the leadership mantle and lead a new team of superheroes.